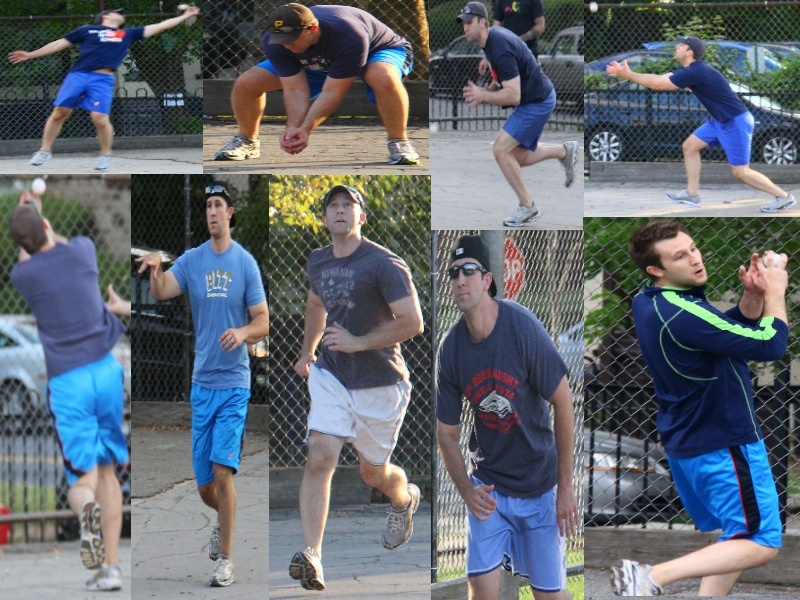 One year after meeting in the 2011 EWL Wiffle Series, the Caucasians and the Fish Sticks have made their way back to the Late-Summer Classic to battle for rights to the Wiffle Throne in 2012. The two teams were #1 and #2 in the standings the entire season, and it seemed destined that the two would meet again to conclude the playoffs. The Caucasians find themselves in a similar position to 2011, but have arrived here via a different route. After dominating the 2011 regular season and cruising to the pennant, they struggled early in 2012. 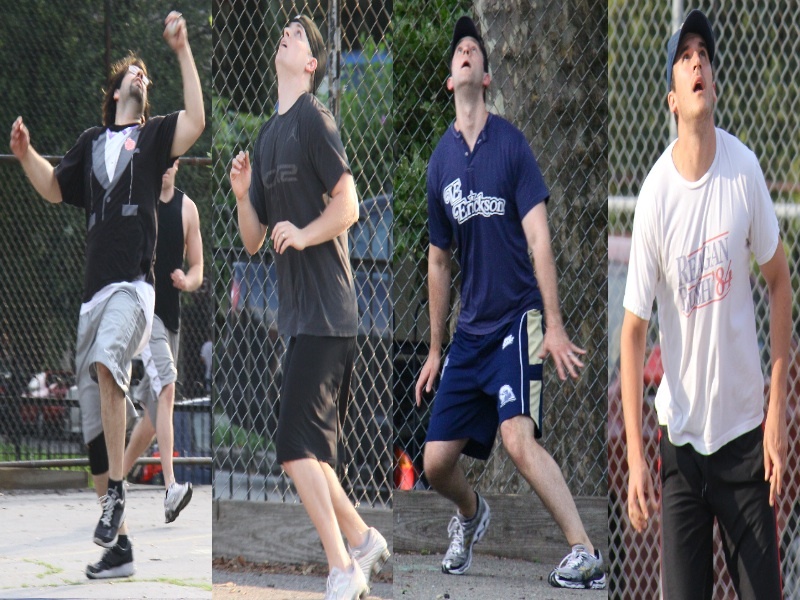 The midway point in the season changed everything, however, as the Caucasians lifted off, winning their final 7 games. They caught and passed the Fish Sticks in the standings, claiming the #1 seed in the playoffs for the second straight year. 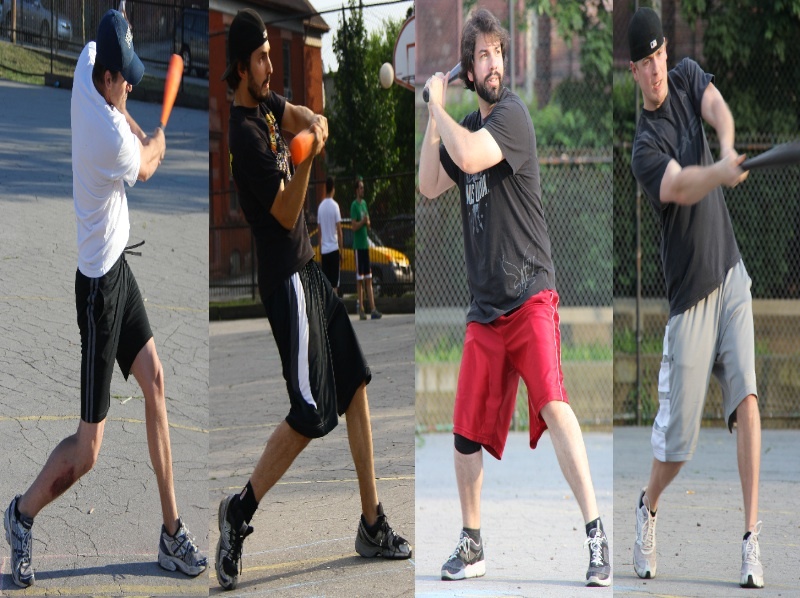 In the playoffs they met #4 seed Downtown Bobby Brown, formerly Pumice on Slow!, the same squad they faced in the first round of the 2011 playoffs. It took them one more game to dispose of Bobby Brown in 2012, winning the best-of-five series 3-1 after sweeping in 2011. The Caucasians are a decorated lineup, as team captain Guthrie won both Manager of the Year and repeated as Pitch King. After the greatest single-season performance in league history, Morrison earned Field Master, All-EWL Team, and Wiffler of the Year honors. Les established himself as one of the best pitchers in the league and was the MVP of their first round series with Bobby Brown. 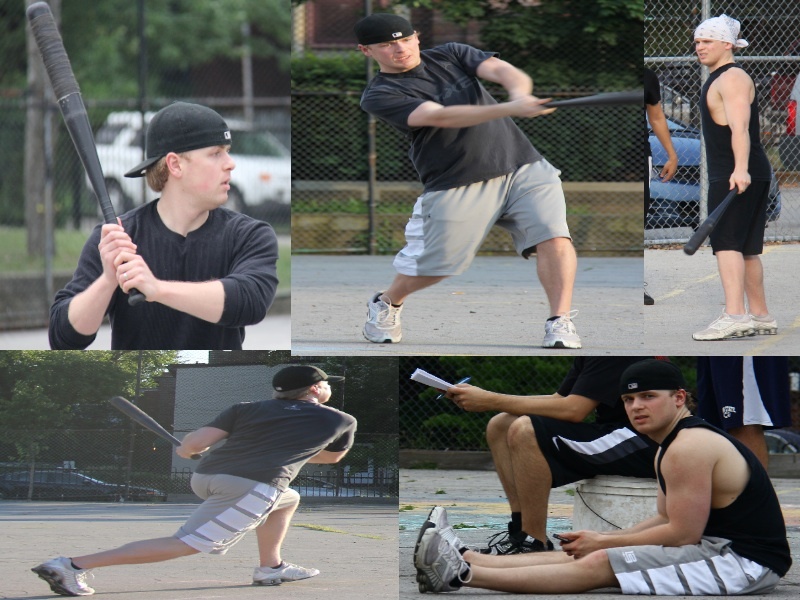 Ron, the Caucasians newest member, had a career year in 2012 and may be the most underrated hitter in the league. To top it off, the Caucasians have Frosty as their secret weapon. In limited action, Frosty hit over .700 in 2012 and was dominant in his brief stint in the first round. 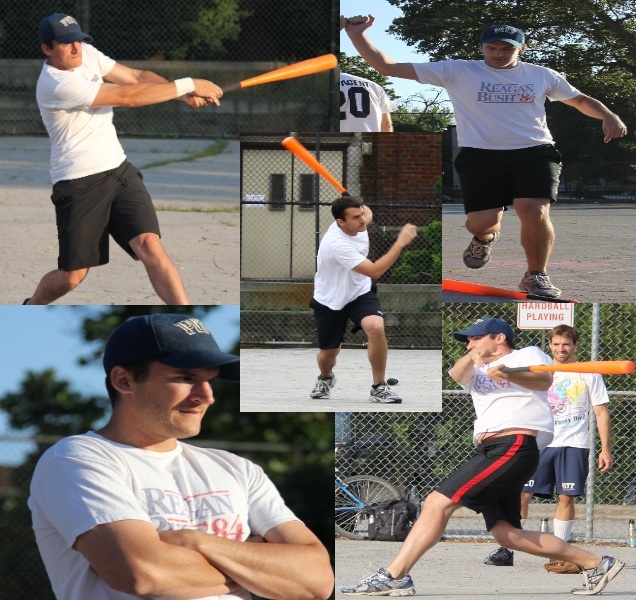 The Caucasians come into the Wiffle Series as the favorites for the second consecutive year, and hope to avoid the disappointment they faced in 2011.
at back-to-back Wiffle Series titles. The Caucasians won the regular season series with the Fish Sticks 4-3. The series was tied heading into the final game of the regular season, when the Caucasians destroyed the Sticks 13-1 in their most recent meeting. The Caucasians beat the Fish Sticks in the first game of the EWL season before dropping three straight meetings. The Caucasians won the final three matchups between the teams. The run differential in the 7 games was 56-48 Caucasians. Two of the games were decided by a single run, but the other 5 were decided by 4 runs or more. 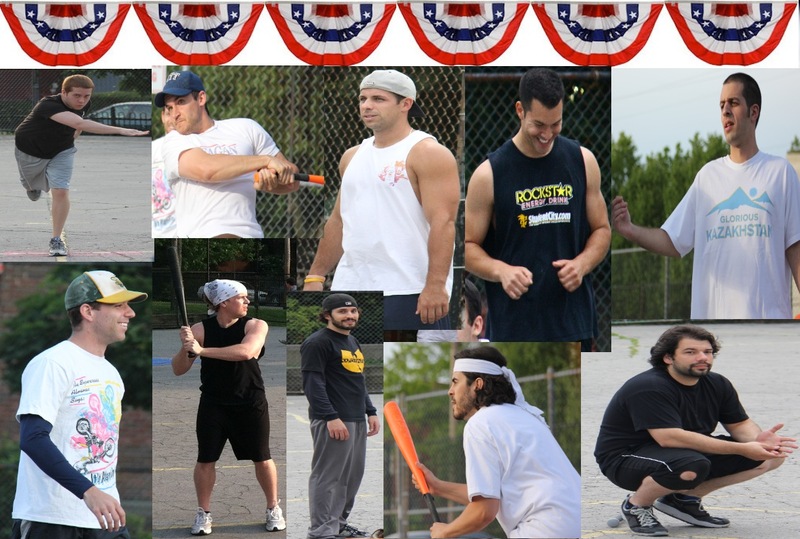 The Fish Sticks won the 2011 best-of-seven Wiffle Series 4-2. After jumping out to a 2-0 series lead, the Fish Sticks were defeated soundly in game 3. They then won game 4, before dropping game 5. 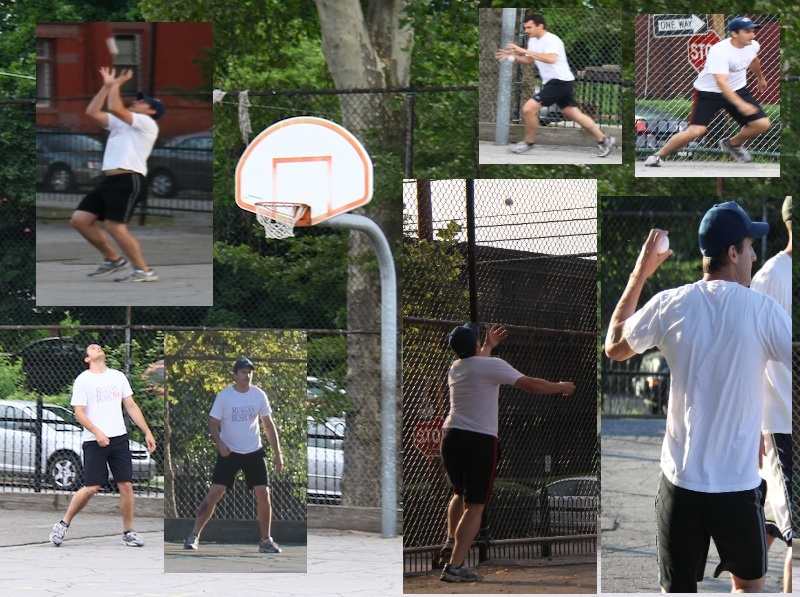 The Caucasians couldn’t extend the series to 7 games, however, as the Fish Sticks prevailed in the 6th game. Blose won MVP honors after winning Wiffler of the Year in 2011. 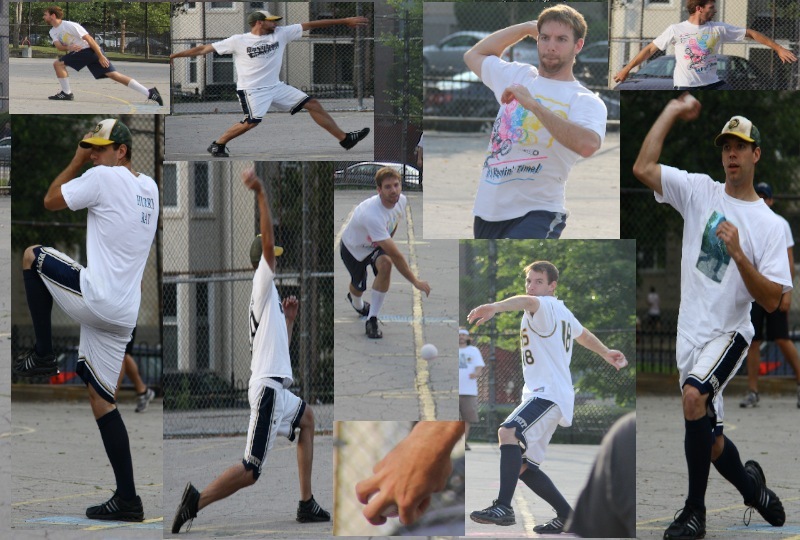 The 2012 Wiffle Series should be a great exhibition of wiffle skill, as every living member of a previous All-EWL Team will be playing, both previous Managers of the Year will be suited up, the only winner of Pitch King Award will start game 1 for the Caucasains, 3 of the 5 Field Masters will play, and the only two Wiffler’s of the Year will be playing as well. 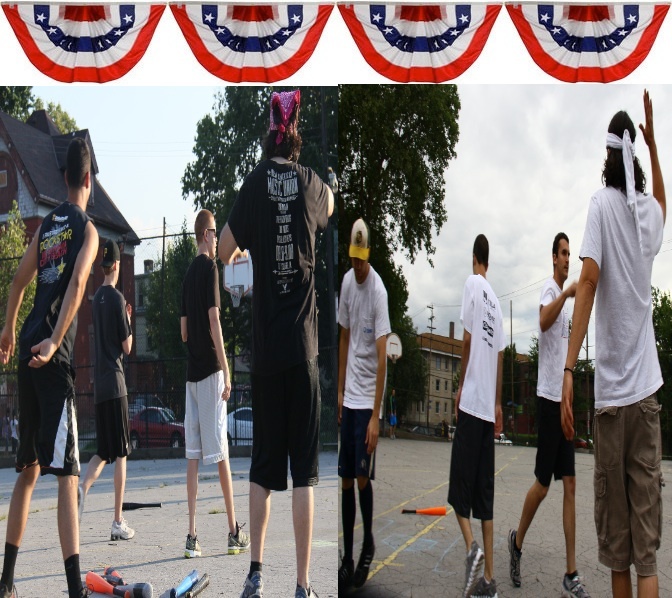 The Wiffle Series starts Tuesday, August 7th at 6:30 at the Wiffle Diamond on Ellsworth. Games 1-4 will be completed. Barring a sweep by either team, the series will be completed on another date. Morrison, of the regular season pennant-winning Caucasians, has been named the 2nd EWL Wiffler of the Year after an utterly dominant 2012 regular season. After completing a regular season unlike anything the EWL has ever seen, Morrison will have his name forever linked with the highest individual honor among Wifflers. Morrison has already been named both an EWL Field Master and to the All-EWL Team, both for the second consecutive year, and now will add another award to his trophy case. Morrison won the award hands-down after receiving 12 of a possible 16 first-place votes. No player even approached his vote total, as he was truly in a league of his own throughout the 2012 season. His stellar season started on Opening Day, as he went 3 for 4 with 3 homers to set the pace for what would be a record-breaking campaign. His numbers grew increasingly more impressive as the season went on, and he carried the Caucasians to the best record in the EWL. He started and finished games strong, as he led the league in both leadoff homeruns (3) and walk-off home runs (2). 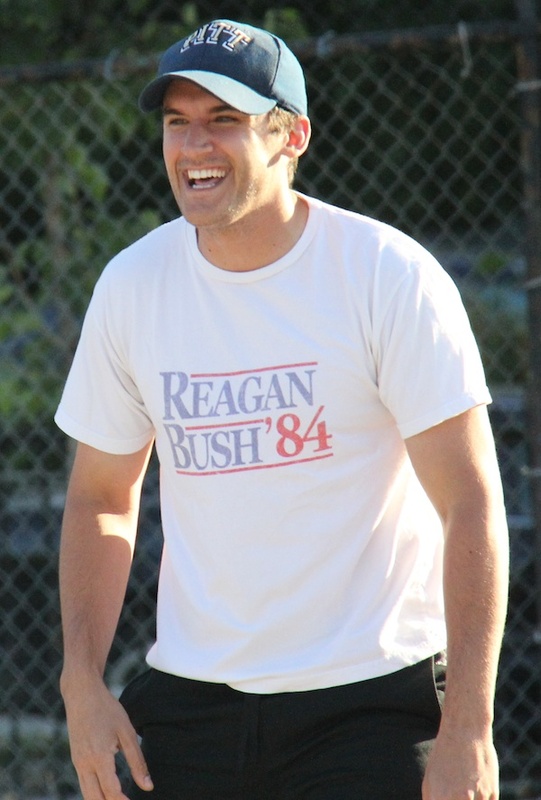 He left the foot-shoes at home in 2012, but the Reagan-Bush shirt was as strong as ever. His signature uniform came to represent all that was good in the EWL; effort, gamesmanship, skill, and beast mode. He led the league in 7 different major statistical categories and finished in the top 5 in every statistical category except triples. Feared by all pitchers, he was the most dangerous hitter in the league every time he stepped to the plate during the 2012 season. No one in the EWL has a quicker bat, and his uncanny ability to hit the ball square with brutal power, usually swinging at the first pitch, was phenomenal to watch. He moved on the base paths as well as anyone in the league, as he always hustled to first to earn tough singles, stretched singles into doubles and triples, tagged up whenever possible, and found ways to score sneaky runs. Morrison should never be mistaken as only a power hitter; he truly is a 5-tool player. His fielding was superb as he made difficult plays look routine on a weekly basis. He played at an elite level in all of the 18 games he played in, never slumping, and was the foundation upon which the Caucasians built their successful season. Morrison finished second in Wiffler of the Year voting in 2011 after vying neck-and-neck with Blose all season. Blose and Morrison were the only legitimate candidates in 2011, and after Blose’s dominant final weeks, Morrison was left slightly behind. His 2011 season was outstanding by any wiffler’s standards, and he demolished those standards in 2012. 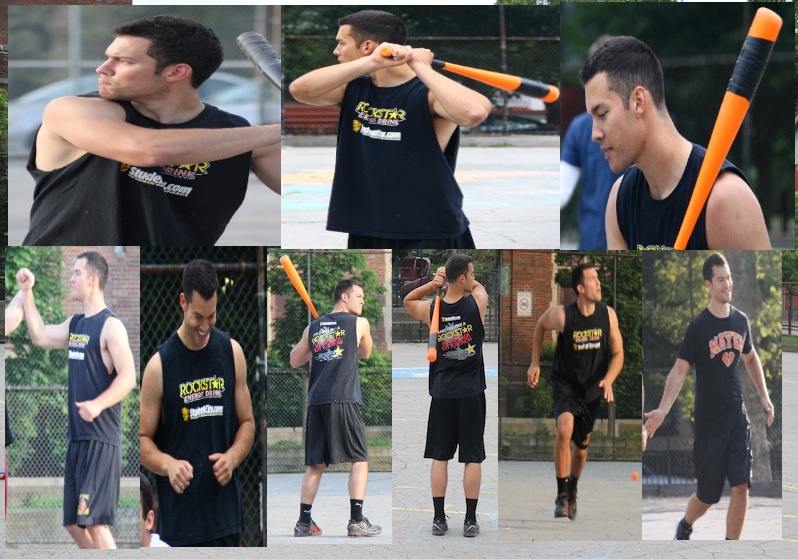 He took no prisoners in 2012 and was as fierce a wiffle ball force as the EWL has ever seen. All future wiffle ball seasons will be judged against Morrison’s in 2012. His name is scribed all throughout the record book as he now owns many career marks as well as single-season and postseason records. 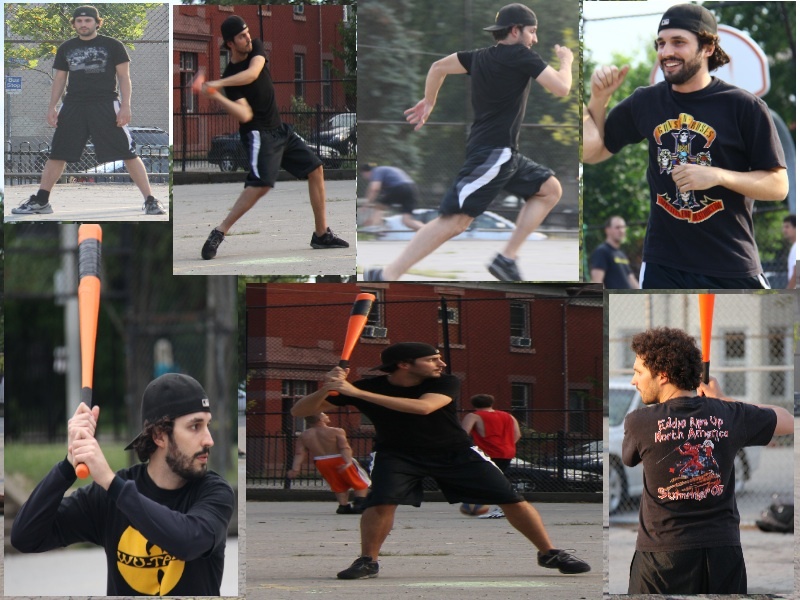 After falling just short in 2011, he now joins the Wiffle Pantheon with Blose along side the greatest wifflers of all-time as the 2012 EWL Wiffler of the Year. No other EWL player came close to Morrison’s vote total or even deserved to contend with him. Joey finished 2nd in Wiffler of the Year voting after finishing 3rd in 2011. 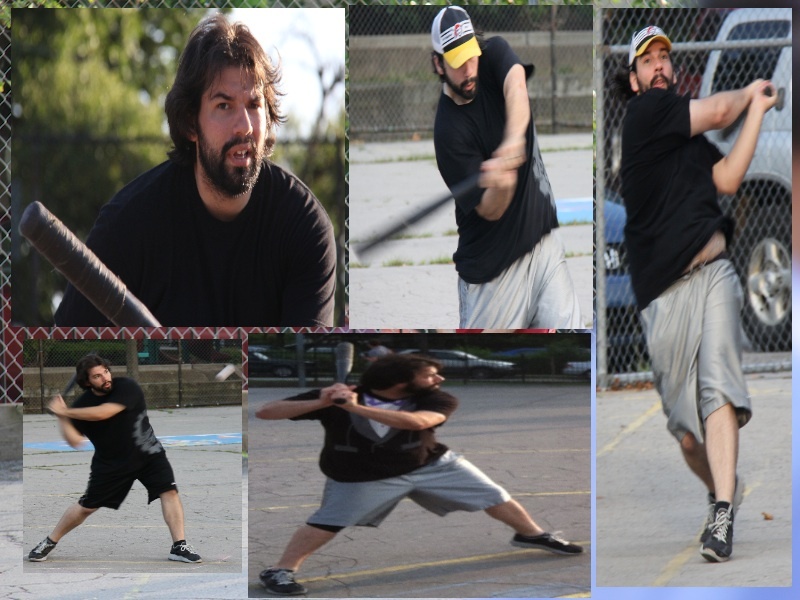 Blose, the 2011 Wiffler of the Year, finished 3rd in voting, and Vassallo, another Fish Stick, finished 4th. Brad was the only other player to receive a significant vote total. The only EWL players to approach Morrison at any point in the regular season were Blose, Vassallo, and Evan, but all three players slowed down at one point or another as Morrison continued to plow balls over the Wiffle Diamond fence. Three Fish Sticks and a Caucasian have been voted to the 2012 All-EWL Team, which recognizes the four players who receive the most votes for Wiffler of the Year. Three players, Morrison, Joey and Blose, return from last year as repeat members of the All-EWL Team. Vassallo has been named for the first time, replacing Guthrie on the squad. Morrison, left-fielder and leadoff hitter for the Caucasians, was voted to the team after dominating the EWL throughout the 2012 season. Morrison finished in the top 5 in 11 statistical categories; all of them except triples. His raw power at the plate was unmatched, but he was much more than a power hitter. Morrison hit for average, legged ground balls into hits, and was one of the smartest base runners in the league. He was named a Field Master as one of the best defensive players, and is generally regarded as one of the most well-rounded players in the league. Joey, who pitches and plays both center and right field for the Fish Sticks, returns to the All-EWL Team after a consistent 2012 season. There may never have been a point when he was the most feared player in the league, but he never slumped, consistently reached base, and drove in buckets of runs for the Sticks. His statistics improved across the board from 2011, and he finished in the top 5 of 10 statistical categories. He led the league in triples and game-winning RBI, and finished in the top 3 of batting average, runs, hits, singles, doubles, RBI, and total bases. He had a down year on the mound, but was solid in the field. He had the fewest home runs of an All-EWL Team member, but he hit the only grand-slam in 2012 (one of two in league history), his 49 RBI were second only to Morrison’s 51, and he drove in a run in 17 of the Fish Stick’s 20 games. Blose, 2011 Wiffler of the Year, repeats as an All-EWL Team member after another great season for the Fish Sticks. After destroying opposing pitchers during the 2011 regular season and the Fish Sticks 2011 postseason championship run, Blose picked up where he left off in 2012. He wasn’t quite the same unstoppable force that he was in 2011, but pitcher’s didn’t look forward to facing him in 2012. As much as any other hitter, Blose was a threat to go deep at any point in the game; especially in the clutch. He reached base safely in all 20 games of the 2012 season, and had multiple hits in 18 of the 20 games, an incredible feat. His 26 doubles shattered the existing single season record of 10. He was on pace to have a historically great season before slowing down during the stretch run, when he had only 1 RBI and 0 HR during the final 4 games after hitting 20 homers in his first 15 games. He was named a Field Master for the second consecutive year and became a legitimate pitcher after only pitching in relief in 2011. He finished in the top 5 in 9 major offensive categories, had the second most wins with 4, had a perfect W-L record on the mound at 4-0, and had the league’s only converted save. Vassallo, who has already been named the EWL’s Most Improved Player and a Field Master, is the only new member of the All-EWL Team in 2012. He went from a slightly above average player in 2011 to an elite run-producing power house in 2012. He was the most reliable player for the Fish Sticks in 2012, coming through at some point every game at the plate and in the field. He hit safely in all 20 games, including a 9-hit game against Downtown Bobby Brown where he set the single-game record with a whopping 26 total bases (4 homers, 2 triples, 1 double and 2 singles). Maybe even more impressive than his hit streak, he scored a run in 19 of the 20 games and drove in a run in 17 of 20. At the half-way point in the season, he was in the top 2 of most major offensive categories. He slowed a bit down the stretch, but was one of the most dangerous hitters in the league. He finished in the top 5 of 8 statistical categories. The only other player to receive a substantial vote count was Brad of Downtown Bobby Brown. Brad had an amazing season defensively and produced big power numbers at the plate. Two Fish Sticks, a Caucasian, and a member of Downtown Bobby Brown have been voted Field Masters for 2012 as the best defensive players in the EWL. Three of the four field masters from 2012 have been selected for a second consecutive year as Morrison, Blose, and Vassallo repeat as award winners. 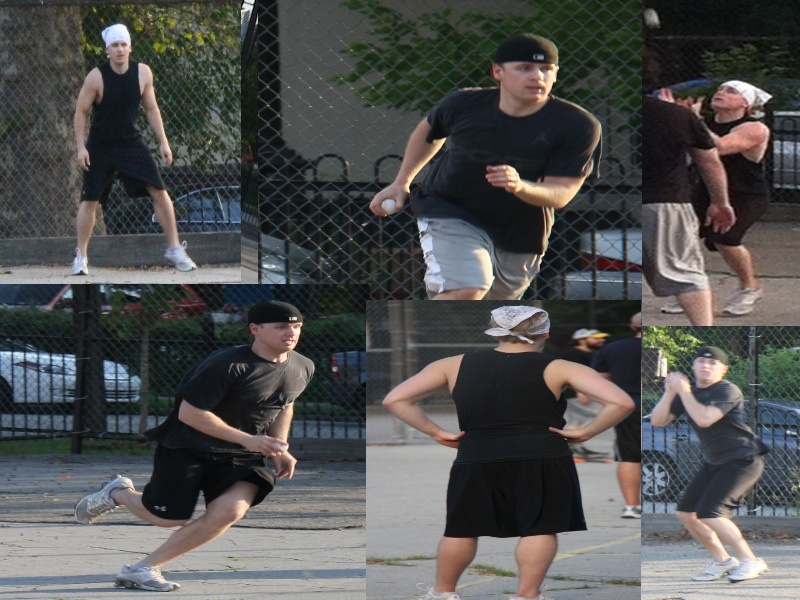 Brad, of Downtown Bobby Brown, replaces his former teammate Luke as Fielder Master in 2012. Three of the four Field Masters are left fielders (Brad, Vassallo, and Morrison) and Blose plays center field. 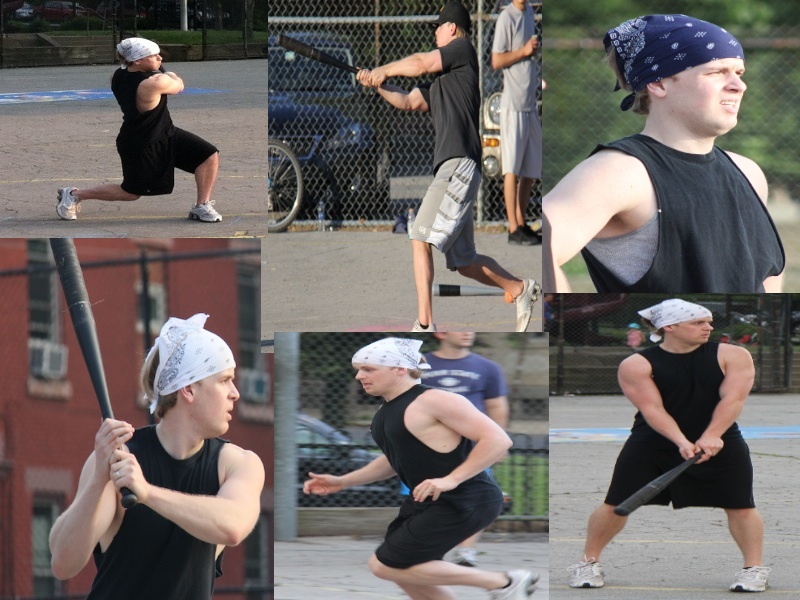 Brad, the left fielder for Downtown Bobby Brown, was the top vote getter among Field Masters for 2012. He made an incredible leap in his defensive ability from 2011 and was the widely looked upon as the best defensive player during the 2012 season. His defense carried Downtown Bobby Brown as he often had to cover the entire outfield. His range and ball skills were unsurpassed as he tracked down flies, scooped up grounders, and played the ball off the fence better than anyone in the league. Brad also showcased his arm in 2012, as he likely retired more batters by gunning the ball to the pitcher than anyone in the league. If the EWL had Web Gems, Brad would have made at least 8 or 9 of the top 10 most spectacular defensive plays of the year. Now dubbed “the Ozzie Smith game,” Brad’s midseason game against the Caucasians will go down in history as the best defensive performance in a single game to date. His outstanding defense carried Bobby Brown to an upset win in that game, and helped his squad improve on their 2011 record. Brad led the league in put-outs with 103, 24 more than any other player in the EWL. Morrison, the left fielder for the Caucasians, was not far behind Brad in votes and repeats as a Field Master in 2012. Morrison continued to make fielding look easy by making difficult plays look routine, unlike any other player in the league. Morrison harnessed fly and ground balls with one hand and on the run and almost nothing got past him. He covered left field as well as anyone, often covered center and right, and made many plays deep in foul territory. Morrison is known best for his bat, but his defensive play makes him one of the most well-rounded players in the game. Morrison finished second in the league in put-outs with 79 and is the career leader in put-outs with 170. Vassallo, the left fielder for the Fish Sticks, also repeats as a Field Master after a stellar 2012 campaign in the outfield. Unlike Morrison’s flashy defensive prowess, Vassallo is likely the most fundamentally sound defender in the EWL. Vassallo was always sure to get in front of the ball, usually roping it in but at worst preventing extra-base hits. His catch and charge technique routinely prevented players from extending hits, and he likely retired more batters by tag or peg out than anyone. He played the ball out of the tree better than anyone in the league, and his range extended far beyond left field as he often tracked down balls deep in foul territory. He turned multiple double plays in 2012, and his 73 put-outs were third best in the EWL. Blose, the center fielder for the Fish Sticks, is also a back-to-back Field Master after being voted a top defensive player again in 2012. Blose is the only non-left fielder to be voted and also the only one of the four winners to routinely pitch. His great fielding was consistent no matter where he played, as he had a knack for making big plays at either position. He played deep fly balls against the fence better than anyone in the EWL, and he often robbed players of what looked to be sure hits. He is likely the only player in the league to make an over-the-shoulder catch with his back to the playing field, and he made at least 3-4 throughout the season. After leading the league in put-outs in 2011, Blose finished 4th in 2012 with 68. The only other player to earn a considerable number of votes was Evan of the Ham Slams. Evan was Brad’s only rival for spectacular catches and had incredible range when he was manning left field for the Slams. He was a top 3 fielder at the halfway point in the season, but after missing games down the stretch his value as a defender faded. Despite missing a significant portion of the second half of the season, he finished fifth in Field Master voting and put-outs. For the second consecutive season Guthrie of the Caucasians has been voted the Pitch King as the best pitcher in the EWL. Guthrie ran away with the voting and was the clear choice after another great season on the mound for the Caucasians. In a year in which offense ruled in the EWL, Guthrie continued to rack up wins on the mound and keep the Caucasians in games with his signature Claw Ball. He added another pitch to his arsenal in 2012, the lob ball, which consistently fooled hitters. His 7 wins was 3 more than any other pitcher in the league, and his 7-3 record was nearly identical to his 7-1 mark from 2011. He threw 10 complete games, nearly double that of any other pitcher in the league. Despite leading the league in innings pitched, he finished in the top 3 in ERA (2nd), hits allowed (3rd), opponent batting average (2nd by .02), and WHIP (2nd). His statistics increased from his 2011 Pitch King campaign, but all pitchers’ numbers increased due to increased offensive production. His 14 career wins rank him first all-time in EWL history. Guthrie is the first player in league history to repeat as an EWL Award winner. Guthrie’s previous awards include 2011 EWL Pitch King and he was a member of the 2011 All-EWL team. Alec, of the Ham Slams, finished second in voting and was a bright new star on the mound in the EWL. After struggling early, he developed a series of pitches with incredible movement that made him increasingly more effective throughout the season. He had little run support, but led the league in ERA, WHIP, K/9 and opposing batting average. Les, Guthrie’s rotation mate for the Caucasians, finished third in voting and was the only other legitimate candidate for the award. Les’s sample size was likely too small to garner enough votes, but he was dominant in his limited time on the mound. He went 4-1 and his ERA of 3.93 was the lowest among pitchers with 5 or more appearances by nearly 1.5 runs. Ivan, who was a late addition to the Fish Sticks roster just days before the regular season started, was voted the 2012 EWL Rookie of the Year and is the first winner of the award. Ivan edged out several solid candidates after receiving considerably more first and second place votes (combined) than any other player. Ivan quickly established himself as the leadoff hitter for the Fish Sticks and thrived in the role, winning the EWL batting title in his first season in the league. He hit .611, setting a new single season record for batting average. He hit 11 points better than the second best hitter, and nearly .50 points better than the third best hitter. Despite playing only 14 games, he finished in the top 5 in runs, singles, doubles, triples, and slugging percentage. His speed to first was unrivaled in the league, and he became the toughest out in the EWL. His presence at the top of the order sparked the Fish Sticks to the greatest offensive stretch in league history, when they scored 99 runs in 6 games, averaging over 16 runs per game. He had four games with 7 or more hits and he is tied for the single-game record for hits and runs. His 5 HR in one game is an EWL record that has never been matched. Evan, of the Ham Slams, finished second in the voting. He was a legitimate MVP contender throughout the season until early July when he fell off the map and missed the rest of the regular season. He was on pace to contend for the batting title, was one of the best power threats in the league, and was also one of the league’s top fielders, making spectacular catches on a regular basis. Mark and Anthony finished third and fourth in rookie of the year voting and each had great rookie seasons. Mark hit 23 homeruns (third behind only his brother Brad and Morrison), was one of the league’s most dangerous hitters, and played as hard as anyone in the EWL. Anthony may be the fastest player in the history of the EWL, was a threat to extend a hit into a triple every time he put the ball in play, and had incredible range in the field with the ability to track down balls that should have been well out of his range. Both made great contributions to their team and the league. Vassallo, left fielder and cleanup hitter for the Fish Sticks, has been named the first ever winner of the EWL Most Improved Player award. In a close vote, Vassallo edged out the five other players nominated for the award and received by far the most first place votes after delivering a career season in 2012. – His batting average increased by over 100 points from .403 to .509. – He was one hit shy of doubling his 2011 season hit total of 29 with 57 in 2012. – He nearly doubled his 2011 doubles total from 7 to 13 in 2012. – After hitting 1 triple in 2011, he hit 6 in 2012. – His slugging % increased from .819 to 1.321. – He averaged less than a run scored per game in 2011 with only 13 runs, but scored over 2 runs a game in 2012 with 42 runs scored in 20 games. In addition to these improvements, he played in all 20 games in 2012 and hit safely in all of them, a remarkable feat. He has an active regular season hitting streak of 23 games. The only statistical category he didn’t improve on was putouts; he collected 80 in 2011 but only 73 in 2012. Vassallo’s previous awards include being named an EWL Field Master in 2011. Vassallo narrowly received more votes than Brad, of Downtown Bobby Brown, and Ron, of the Caucasians. Brad also significantly increased his production at the plate in 2012 along with becoming one of the finest defensive players in the game. He more than tripled his putout total from 2011 and increased all of his offensive numbers as well. 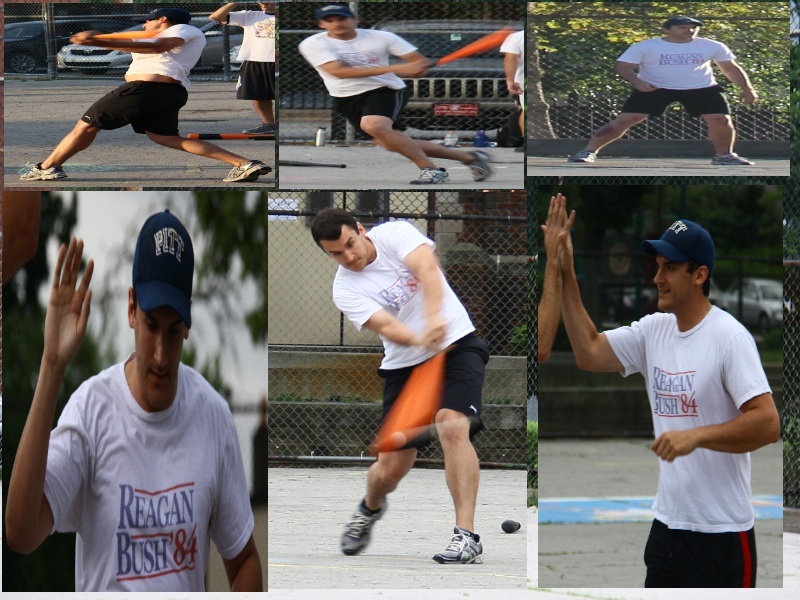 Ron improved his batting average by nearly 250 points and improved his already impressive power numbers from 2011. Vassallo, Brad, and Ron were all deserving candidates after turning in impressive 2012 seasons.